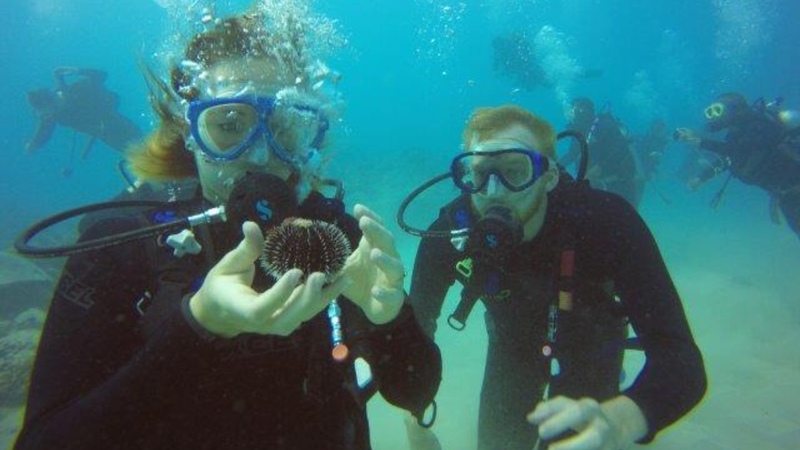 The most important thing for me when we went to Hawaii was making sure I had a good scuba diving experience. I knew that price would be a factor, so I wanted to find the best deal at the best price. -They were only $120 a person for 2 dives and FREE pictures (which you pay in cash- no additional tax). How I set up the dive: I called them up on a Monday and set up a time to go that Wednesday. I talked with Erik who kinda runs the show there and he was super friendly. For those of you who like last-minute activities, I would think twice about some things on Oahu. Most activities (scuba diving, sky diving, zip lining, etc) have to be scheduled in advance- just keep that in mind! If you need to change plans, they have a 24 hour cancellation policy. Change of plans: On Tuesday, Erik called me back and told me that because the swells had been bad that day, he wanted to push our dive back a day or two so that the visibility was good. I REALLY appreciated that because one time I went scuba diving when the visibility was poor and it wasn’t worth the price! I was impressed Erik called even though he could have potentially lost some business (had we not been able to change days). I’m so glad we could change days! Pre-Dive: Fast forward to Saturday… we got stressed because we were running late and I thought they might leave us. I called Erik and he was way relaxed and helped us park. The group was small and everyone was well taken care of. They did prep in the boat and taught us how to clear our regulator and our masks. Erik had us put the regulator in our mouth during the boat ride so we could get used to breathing through it. I thought that was really helpful! Then when we descended we had a rope leading to the anchor at the bottom so I felt guided all the way down, another bonus. The Dives: They pick where you go diving that day based on visibility and what Erik thinks the group might like. We ended up going to two diving spots- one with lots of turtles and the other with white tip sharks (no worries they were little guys). 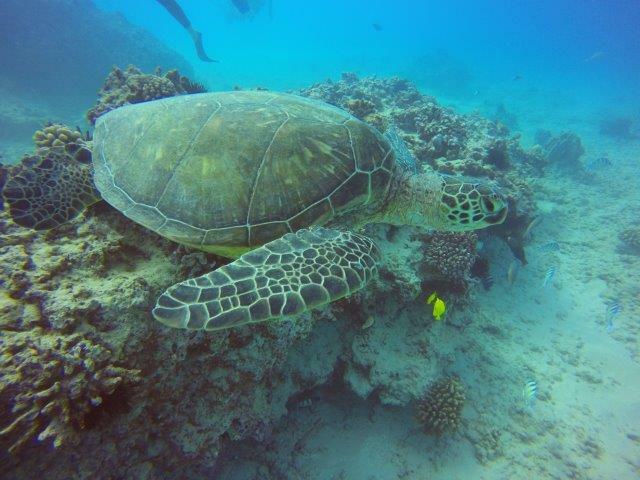 I saw everything I had hoped to see- turtles, sharks, eels, lots of cool fish, and some cushion starfish. Some of the group saw an octopus but I was busy off on my own and missed it. We did two full dives and used two air tanks. Every diver completed the two dives without any problems. The whole thing only took a couple hours but was well worth it! Another cool part of the trip was the boat ride out with the view of Diamond Head and Waikiki. Would I recommend it?? Yes! 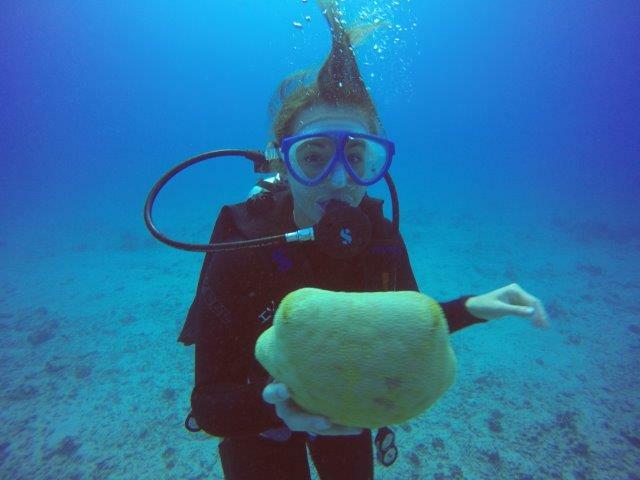 I would highly recommend Oahu Diving. 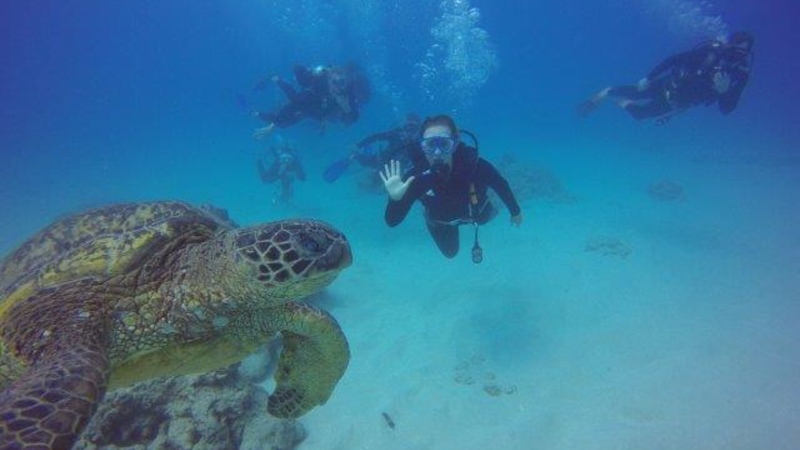 Go to http://www.oahudiving.com/ or call 808-721-4210 to book your appointment! !